Angie, if you can’t get no satisfaction with the current crop of Stones books, here’s your emotional rescue. 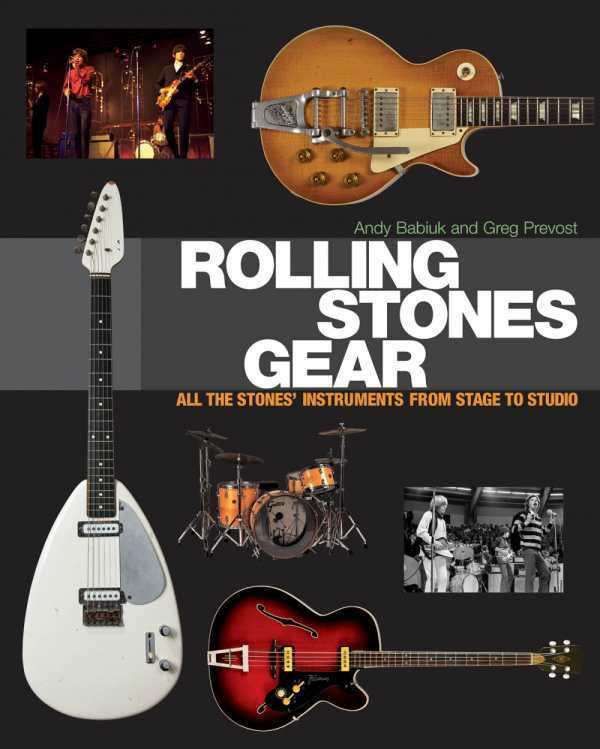 Yes, it’s only rock and roll, but if you know some Puerto Rican girls that are just dying for a 672-page book that documents all of the musical gear ever used by Mick, Keith, and the boys, alongside hundreds of photographs and detailed descriptions of the instruments used in every song they ever recorded, hang fire because the clouds will now disappear. Brown sugar aside, this project is so impressively researched, extensively referenced, and professionally photographed, we can’t help feel some sympathy for the devil-may-care authors, Andy Babiuk and Greg Prevost.